Thank you to all our sponsors! Without your support Evergreen would simply not be as amazing! ​Chocolate sponsored by the Evergreen Shoppers Drug Mart. Thank you from all parents and children! Hot chocolate sponsored by Swan Evergreen Village by Origin. Thank you. New member and renewal prize sponsored be , Mari’s Bridal Alteration and Sewing. Thank you. Thank you to Shawnessy Canadian Tire for donating the prize for the 2017 Calgary Evergreen Community Association May New Member Contest! Prizes donated by Shawnessy Canadian Tire! Thank you again for your support! The Christmas Spirit in Evergreen gets brighter every year! Chocolate sponsored by the Evergreen Shoppers Drug Mart and Bridlewood Sobeys. Thank you from all the children in Evergreen! Coffee sponsored by Evergreen Starbucks. Thank you from all the parents in Evergreen! Prizes donated by Shawnessy Canadian Tire. Thank you again for your support! Evergreen is getting brighter every year! 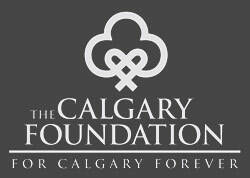 The event held on August 21, 2014 from 4- 8pm would not be possible without the incredibly strong support of our sponsors. Thank you!